There are now over 2000 firefighters battling the wildfires in British Columbia. The Thompson-Nicola regional district has issued an Evacuation Order and Evacuation Alert for the Little Fort area. The Cariboo Regional District has issued an Evacuation Order for the Lexington Subdivision due to wildfire. The Thompson-Nicola regional district has updated Evacuation Orders for the village of Cache Creek and properties in Ashcroft Electoral Area “I” to include Electoral Areas “E” and “I”, north of Cache Creek. The Thompson-Nicola regional district has updated an Evacuation Order and Alert for Hallamore Lake, Electoral Area “A”, and the District of Clearwater. The Regional District of Okanagan-Similkameen has updated an Evacuation Order and Evacuation Alert for properties in the Princeton area due to wildfire. An Evacuation Order has been issued for the area along Highway 20 from 2.5 km west of Alexis Creek to 1 km east of Raven Lake Road. The upper and lower boundaries as outlined in the Alexis Creek Evacuation Order 1 and Alert 1 Boundary Map linked here. The Evacuation Order includes the communities of Alexis Creek and Hanceville. Firefighters say that the situation isn't expected to improve anytime soon. 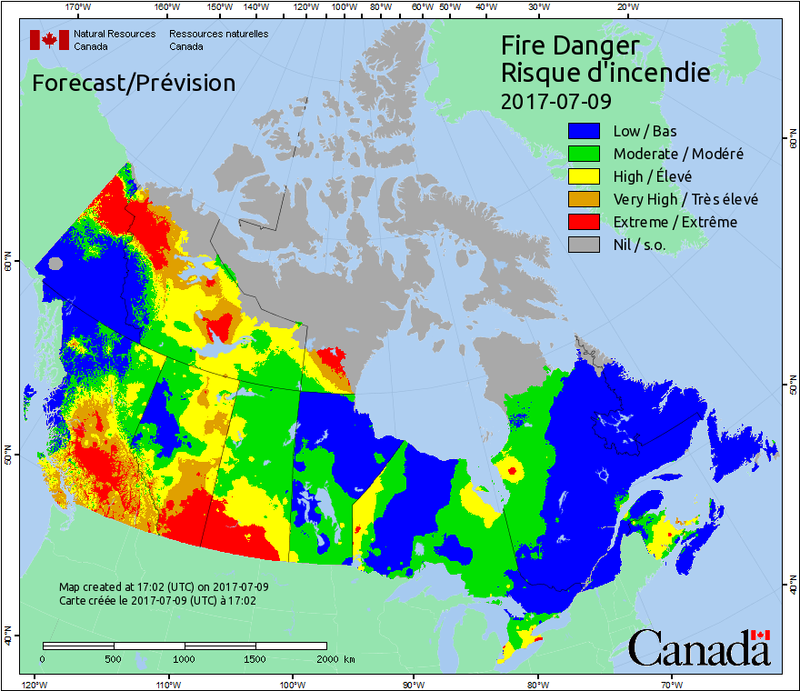 Wind, lightning, and dry hot weather are the cause of the wildfires and these conditions are expected to continue. Thousands have now been forced from their homes. 260 firefighters from across Canada will arrive in the province by Monday or Tuesday. Saskatchewan is sending three aircraft and 30 firefighters. Vancouver Police Officers are headed to the region to help, and B.C. Public Safety Minister Mike Morris said it may become necessary to call in the military. The Canadian Red Cross has started accepting donations and helping those evacuated.